I am happy to know through my friend about your nature cure herbal medicines. 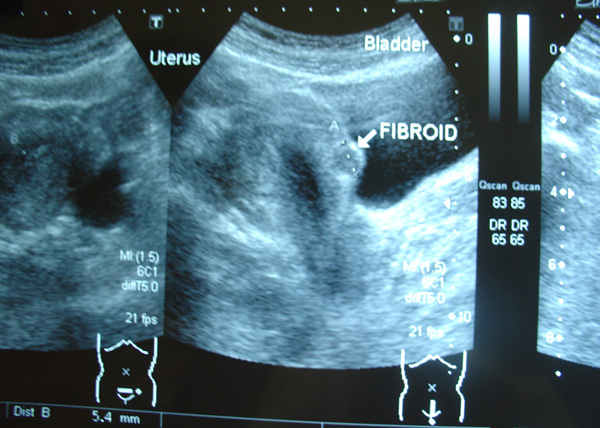 I would like to consult you for my wife fibroid problem at Ovarian and Uterus . We did laparoscopy and removed the cyst last year, but still we suspect it’s growing up again. Recently we didn’t take any treatment or medication (allopathic). The doctor(in Singapore) didn’t prescribe any medicine and advice her to take birth control pills regularly to suppress the Hormone. But she stopped taking as it shows some side effects like tiredness and general weakness. Now she has no other symptoms except severe hair loss and her stomach looks bloated. Reading your website I understand there is a fibroid tea for to cure the cyst , how to get the medicine. We are Indian Nationality currently residing in Singapore. Do you have any clinics in Singapore or nearby or shall we need to visit you personally? Kindly advice us where to buy the medicine if taking medicine is enough. Reply: Better that you come and see me personally with all the medical reports and scan …then we take it from there. Since that day we met, my wife taking herbs Utero-Ova and GY6. 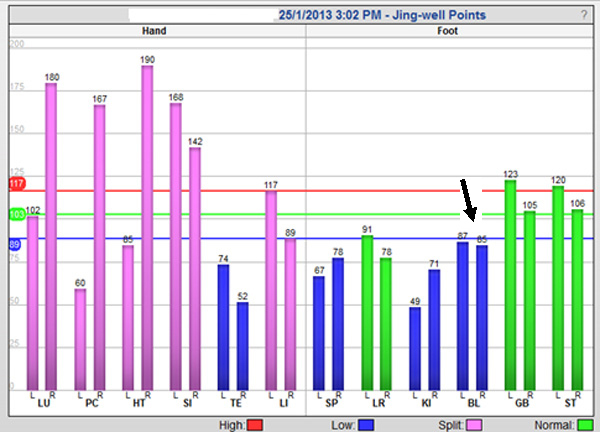 It works amazingly and recent studies on her medical report shows very good improvement and she is getting better. Thanks for your advice and consultation. However , hearing the so many news of people suffering from Cancer, she is very much worried and She want to take some other herbs that could prevent Cancerous cells affecting her well being. Is there any? Especially for Breast Cancer and Colon Cancer (for Male /Female) , if there is, can you prescribe that. Waiting for your advice. Regards. Reply: Thank you very much for your email. I am real glad that your wife benefited from the herbs — yes, many others like her also had similar good effects. Can you share with us why you say your wife is getting better? She went to see the doctor and what did the medical report say? Health wise — how is she now compared to before taking the herbs — in what way is she better? Regarding, cancer prevention. No, I don’t have any magic bullet for that. You need to take care of your diet, be happy and excercise always …if you like to use the e-therapy machine for health maintenance .. it may help you. For that you need to come and see me again and we discuss. Take care. At that time of consultation she was under English Medication and suggested surgery to remove her cyst, earlier she had lap. surgery in Singapore to remove the cyst. After sometime it grew back to around 7 cm., and the same treatment and Surgery was prescribed in Singapore and Surgery was advised to be repeated, whenever it grow. After taking the Herbs for six months, the size reduced to 4cm and we continued taking for two years, last month she had the scan and the report shows only less than 5 mm cysts and nothing more … Regards. 2011 – pains during menses (severe dysmenorrhea). Blood discharge with clots. 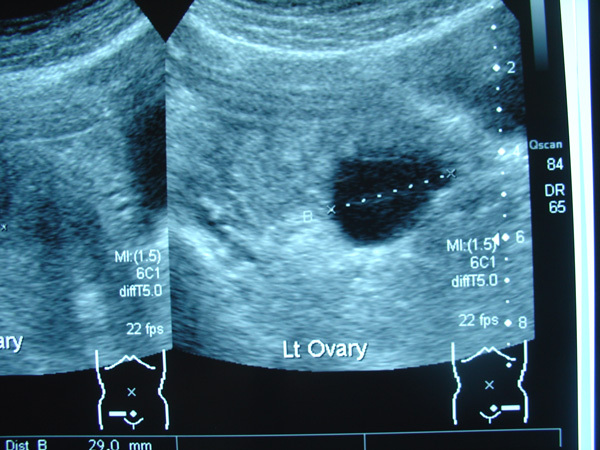 Scan showed chocolate cysts in both ovaries. Prescribed painkiller and hormone pill (progesterone). More pain during every menstrual cycle. Patient went back to India for further management. 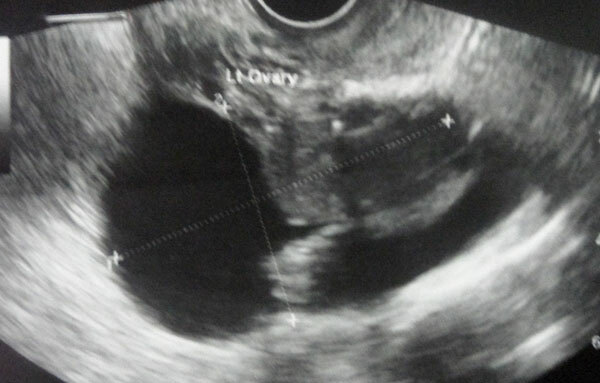 Scan in India in June 2011, showed bilateral ovarian cysts. 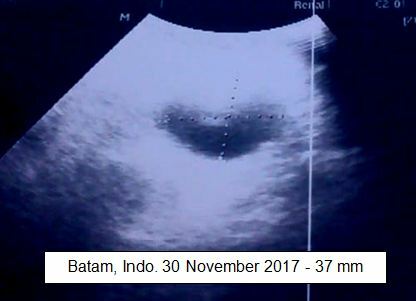 Right ovary: mass about 4.7 x 8.4 cm with both solid and cystic components seen. Ovary not seen separately. 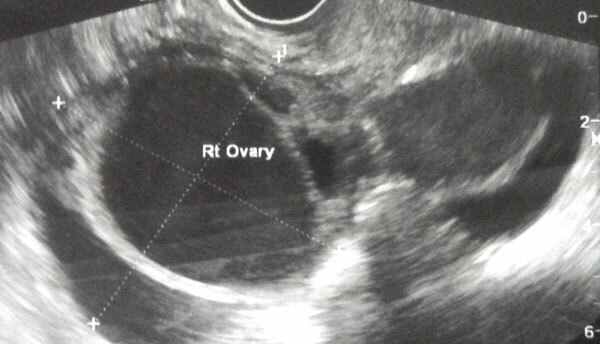 Left ovary: mass about 8.5 x 5.2 cm with both solid and cystic components and ovary could not be visualised separately. 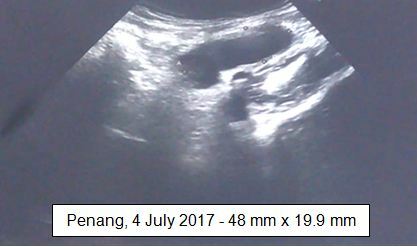 MRI on 17 June 2011 showed enlarged left ovary with cystic components and suggestion of bleed displacing the uterus to the right side. Possibility of endometriosis needs to be considered. The lesion measures about 9.7 x 6.0 cm. Fluid removed from cycts. IUD placement. No medication. Waited for few months. Return to Singapore. May 2012. 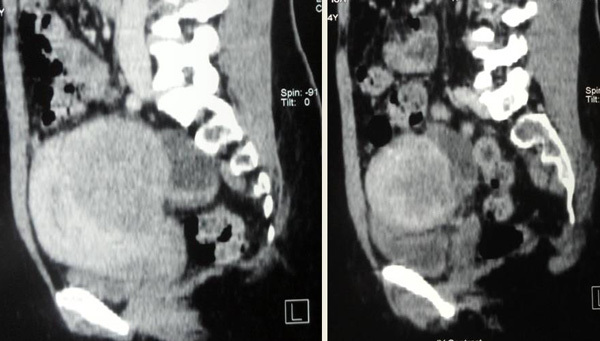 Laparoscopic bilateral ovarian cystectomy, adhesiolysis and hydrotubation. Diagnosis: benign endometriotic cysts. Unfortunately, the cyst recurred. Again 8 cm in size. Started on GY 3 and GY 6 from CA Care. Now, cyst almost gone, 5 mm. Ladies if you have problems with your periods, uterus and ovary, we suggest that you listen to this video careful. There are many things that you can learn from our conversation. Perhaps your doctors would not ask you such questions that we asked. This is our message: Ladies if you have problems with your menses – excessive bleeding, severe pain, cyst, fibroid, endometriosis, premenstrual syndrome, menopause, etc., know that you don’t need hormone pills or surgery! Herbs can help resolve your problems. 2. My 6.9 cm Ovarian Cyst Disappeared ! 3. Nur with Ovarian Cysts Refused Surgery. 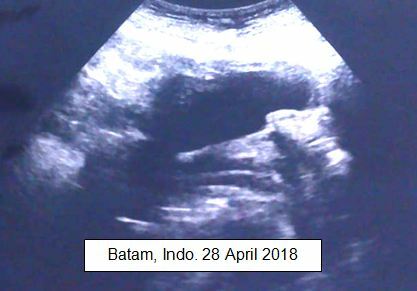 Conceived, Caesarean Birth, Cysts Disappeared! Ida (M690); a 41-year-old Indonesian lady, came to see us today (9 October 2014) and shared her story. She and her husband also agreed to allow us to use this video without having to cover her face — Let all those who have similar problems know! In 2003 she had a laparoscopic surgery to remove a 1.6 cm ovarian cyst. After the surgery she was pregnant and had a baby. 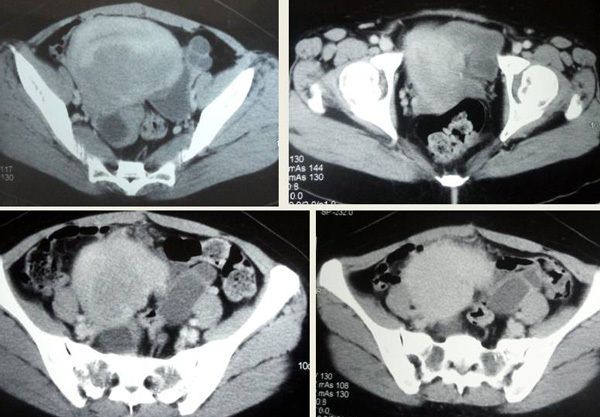 In 2010 there was again a 2.7 cm ovarian cyst and a uterine fibroid. Ida was asked to undergo surgery again. She declined. Ida came to seek our help on 5 February 2010. She presented with backache. Her menses blood was dark and there were clots. She had white discharge which caused itchiness. Sometimes she had discomforts due to bloated stomach. Ida was prescribed GY 5 and GY 6 herbs. On 10 May 2010 — 3 months after taking these herbs, Ida came back and told us that her gynae could not find any more cyst and fibroid. We told Ida to stop taking the herbs since her problems had resolved. My body was very hot. I had hot flashes every day. After taking your herbs, the symptoms disappeared. I took the herbs for about 3 months and the hot flashes disappeared totally. Two weeks after taking the herbs, I already felt better. Chris (C): How are you now? Your menopause, okay? Lady (L): Okay. No problem. Very good. C: How were you before taking the Menopause herbs? L: Hot. My body was very hot. I had hot flashes everyday. After taking your herbs, the symptoms disappeared. I took the herbs for about 3 months and the hot flashes disappeared totally. L: Now I’ve stopped taking the herbs. I have no more problems. C: You took for only 3 months? L: Yes, only 3 months. C: What’s the difference before and after taking my herbs? L: A lot of difference. C: How long after you take the herbs was there a difference? L: Two weeks after taking the herbs, I already felt better. The hot flashes were not so frequent anymore. After 1 or 2 months, I seldom got the hot flashes. In three months, it disappeared totally. C: The hot flashes came every day? L: Yes. I felt hot a few times a day. It came for a short period, went away and came back again. I would perspire until soaking wet, like having a shower. I felt so hot, I needed the air-conditioner all the time. The whole house was air-conditioned. I even took off my clothes despite the air-conditioner. The attack came 2 or 3 times a day, day and night. L: Yes, at night too. Day and night. But after taking the herbs, all these disappeared. And I do not have to take the menopause herbs anymore. C: You mean before you come now, you already stopped taking the herbs? L: Yes. It’s been a long time since I took the herbs. And I no longer have those hot flashes.